Amethyst (1993, 1995-1996); Aquamarine (1993, 1995-1998); Azure (1998-1999); Emerald (1995-1998); Opal (1993 only); Topaz (1993, 1995-1998). 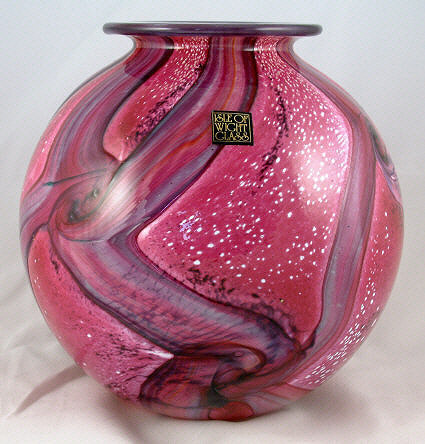 Globe vase, 15 cm tall, 13 cm diameter. Amethyst is a scarce colourway. 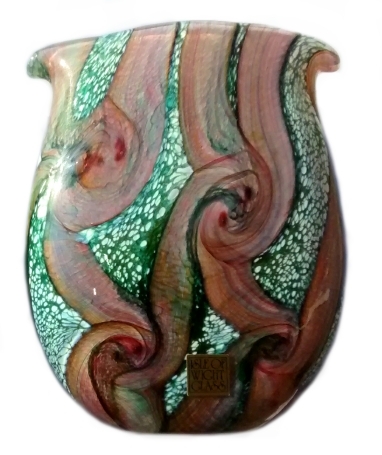 Bag vase, 16.5 cm tall, 13.5 cm wide. 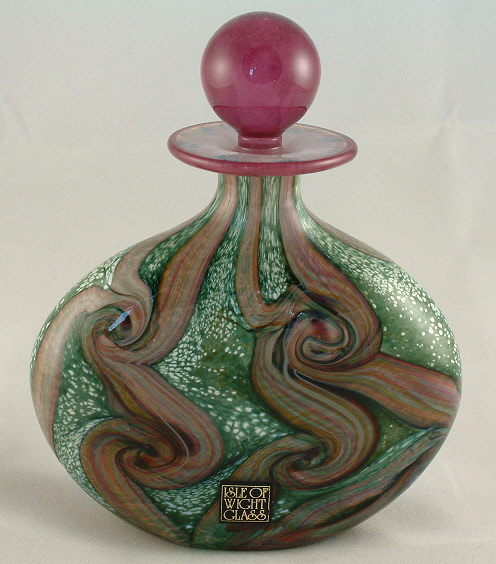 A flask perfume bottle, 12.5 cm high and 10 cm in diameter. 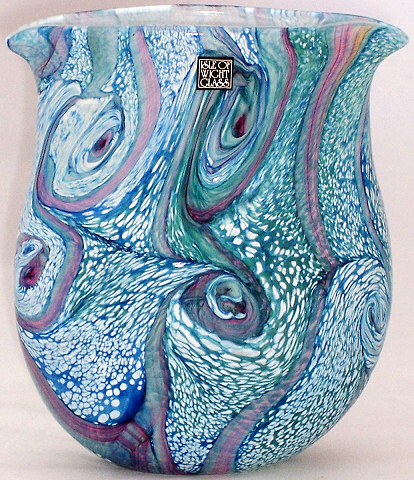 Bag vase, 12.3 cm high, 10 cm width. 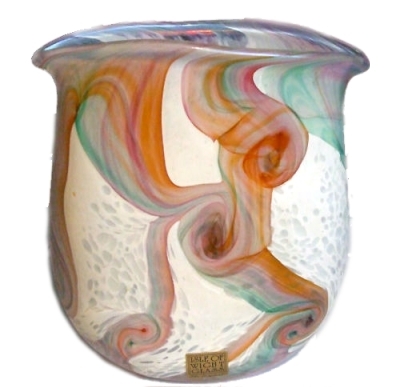 Small bag vase, 11 cm high, 4.5 cm diameter. 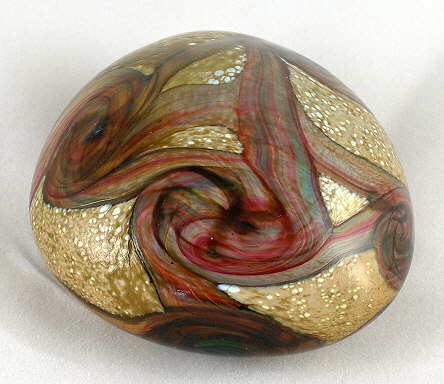 This stone-like paperweight suggests the derivation of the name Gemstone and is approximately 7 cm in diameter. Topaz is the commonest of all the Gemstone colourways.